There is something about baseball. And when you throw in a great human story behind baseball, then it feels transcendent. Such is the case with the new movie about Jackie Robinson. It chronicles how the owner, Branch Rickey, played by Harrison Ford, decides to bring the first black baseball player into the major leagues. Jackie had to squelch his angry reactions to the prejudice that was constantly thrown in his face or thrown at his head. That wasn’t easy for him to do, but he showed dignity in the face of many harsh moments. 42 is the only number that is retired in all of major league baseball. In April, each of the teams has all the players wear 42 on a certain day to honor Jackie Robinson. 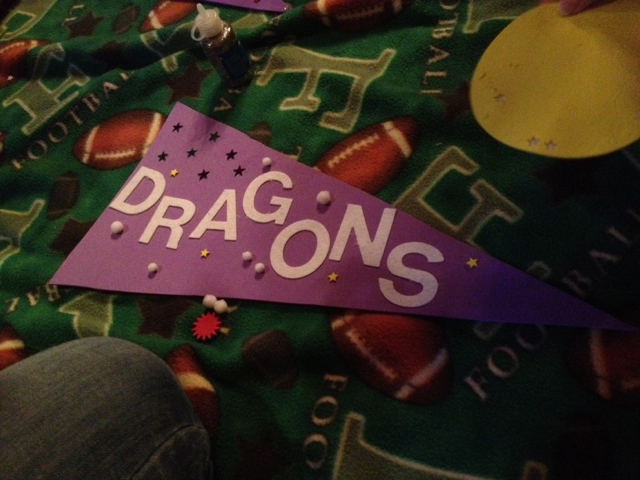 Here is the pennant from our Girls Camp kickoff tonight. I am one of the team leaders for the 13 year old girls. We are the Dragons! The nausea just hit in the middle of the morning, followed by extreme fatigue. I had five piano lessons to do in the afternoon. I had Erik and another friend pray for me to have the strength to make it through the lessons. I felt waves of strength helping me power through the lessons, and then I headed upstairs and slept for four hours. Sleep can be healing. Prayer can be answered in powerful, strengthening ways. One of the favorite things I figured out last year with the help of Mind Organization for Moms, was how to manage the many emails I receive every day. 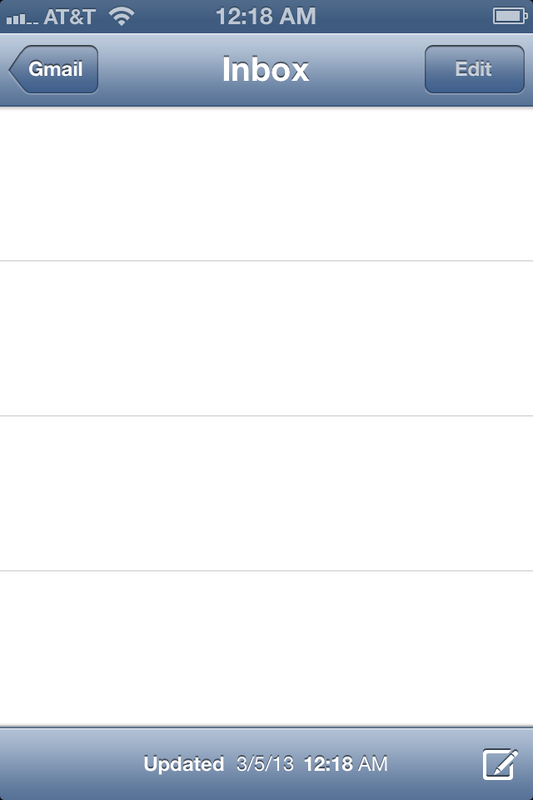 When I have my email inbox empty, it makes me happier about the flow of email. I highly recommend it.